Cheese is inarguably an essential ingredient in most of UK's tastiest dishes. It makes every meal more delightful and delectable. Make every meal special by looking for the most awesome deals on cheese. Our awesome community of bargain hunters have searched and compiled for the best deals you can find so you can enjoy massive savings on your next online purchase. Looking for the cheapest price on Philadephia, Seriously Strong, Cathedral City and Pilgrim's Choice has been easy when you use voucher codes from Morrisons, ASDA, Iceland, Approved Food and B&M. Save and say cheese! Doritos Tangy Cheese Tortilla Chips 180g 180g - HALF PRICE! Traditionally, people go to their local supermarkets, or even the closest convenience store, when they have to shop for cheese. For most of the time, these supermarkets come with unattended cheese departments that contain true cheeses such as Mozzarella, Swiss, Cheddars and other ones which are factory-made. While it is true that pre-cut cheeses are readily available these days, you might be compromising on freshness. Today, shopping for cheese should not be a daunting task. When you seek information, ask question and help from the retailer you are eyeing for – the process can be enjoyable too. Be ready for other cheeses which are beyond your comfort zone. With the advent of online shops, you will surely discover more. Buying cheese online can be beneficial. Initially, it is going to be a trial and error. However, once you have found a retailer who provides accurate information about his product, nothing can go wrong anymore. 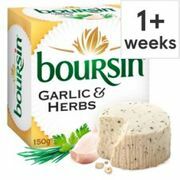 The same reminder applies to buying cheese online – price does not guarantee quality all the time. At the end of the day, it is still about the faith and trust you put in the online retailer. You surely want to be treated with fairness and respect. When you do, you are up to the most exciting part – getting the tastiest yet affordable cheese. 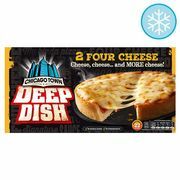 Where Can I Find Cheap Cheese UK Deals? Buy cheap cheese online without hurting your budget. You can find affordable cheap cheese deals, price drops, discount codes, special offers, sales and voucher codes here at Latest Deals. We have a team of money-saving experts and a community of bargain hunters who are always searching for the best deals out there, you will surely get all types and brands of cheese you need that fits your budget including cheddar cheese, mozzarella, cheese platter and more. Get massive savings from your favourite UK retailers including Amazon, Approved Food, ASDA, Tesco & more. Here are the retailers you can make cheese price comparison with. 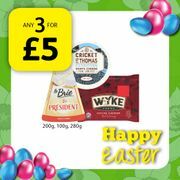 Check their offers and find the most affordable cheap cheddar cheese based on your budget. Find a reputable cheese shop that are on high streets. The people who usually operate are very knowledgeable about cheese because they have been looking for one every day. The same individuals have the ability to turn over quantities of cheese which are freshly cut. This is the kind of condition cheese lovers surely love. Search for online shops which would wrap their cheese in waxed paper. Aside from this, vacuum-packed cheeses tend to last longer without affecting the texture and flavour. Read reviews online and look for links that would direct you to the actual maker of the cheese being offered. If you are into a certain kind cheese, this will make your shortlisting way easier. Check the online store you are eyeing for. The only way to do this is to visit its website of course. The thing about buying cheese online is that you cannot see the actual product. This is when ingredients and descriptions are important. Always read them. Take the time to also read the site’s information on cheese production. It is crucial to know who produces the cheese, and when it is being shipped. If you can, try to know where the milk for the cheese comes from as well. These are important details you should not miss. Do not be afraid to try new cheeses. There are cheese makers out there who come up with their own recipes. While it is true that classics are the best, there is nothing wrong with being adventurous from time to time. Too Cheesy: How Do Cheeses Differ? 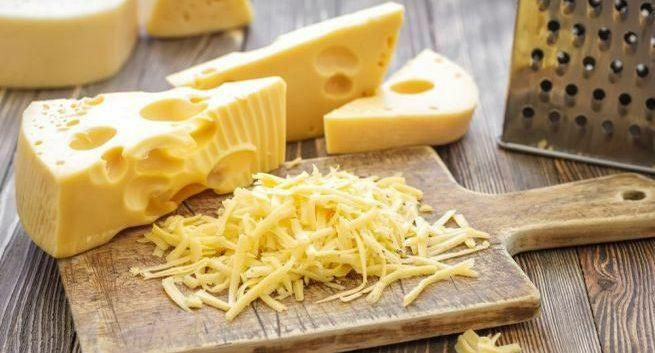 Roquefort, Camembert, Feta, Mozzarella, Emmental, Cheddar, Gouda, Taleggio, Parmigiano-Reggiano, Manchego and Monterey Jack – these are only some kinds of cheese everyone must know. Origin – The country where a cheese was developed is taken into account. There are times when the name of the cheese is retained. This means that strict controlled methods are observed in order to produce the cheese in a pointed out region of the world. With that said, nothing can bear its name. The perfect examples of this are Manchego and Roquefort. Milk – Cheeses will not be made without milk. However, the animal it is derived from would usually bring a big difference on how the product is going to be. The mildest milk is that from cows. 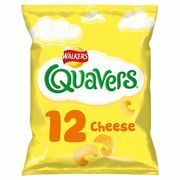 It usually comes with a creamy and sweet flavour which would then translate to a subtle based flavoured cheese. On the other hand, the milk of a sheep is grassy in nature. This is the reason why it is less buttery and so as the cheese that is made from it. Age – A lot of cheeses out there are preserved in a period of time and this is done in a controlled temperature too. In the midst of the process, the moisture would usually evaporate. This leads to a denser paste and even a flavour which is more intense. This comes to be because bacteria would take effect on the cheese. They would digest proteins and covert the cheese’s texture – which would start from being grainy and crumbly, down to smooth and creamy. As a conclusion, age develops and enhances the flavour of cheese. Uses – As you conduct your research, you will know how the cheese is best taken. Is it good on its own? Or does it have to be in a specific kind of dish to be more appreciated? Should it be served with drinks? The purpose has to be determined. Needless to say, there are thousands of cheeses all over the world. If you are really fond of it, you will always be overwhelmed with the selections you can explore. 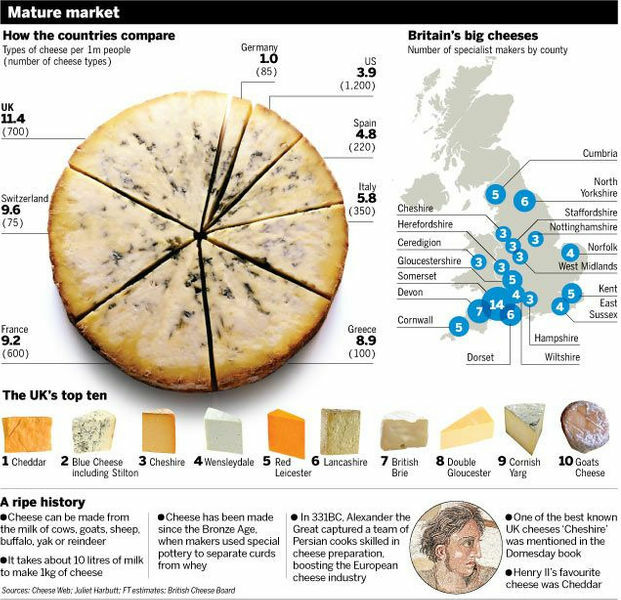 Britain is a great cheese-loving, cheese-making nation. We have dozens of globally recognised varieties and, here at home, its popularity is so great that cheese seems to be on sale everywhere. So why do many people find the specialist cheese shop such an overwhelming experience?